During the 28th and 29th of March, the sixth edition of the Pharmaceutical Industry, Cosmetics and Laboratory Technology Forum was hold in Madrid. 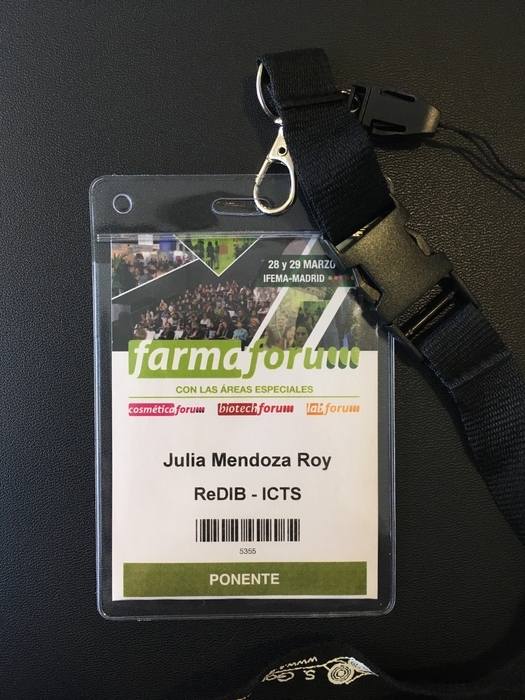 Farmaforum is the principal forum for the Pharmaceutical Industry in Spain, extending its theme and sharing synergies with the Biotechnology and Cosmetics Industry. The pharmaceutical industry, biotechnology and the cosmetics industry, among other sectors, depend on advances in research to develop their outcomes. ReDIB was part of this event, being able to create new contacts and seing at first hand the progress in a sector as important as the Pharmaceutical Industry.